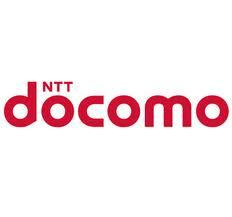 Japanese incumbent operator NTT DoCoMo has announced plans to launch Voice over LTE services following a planned software update scheduled for late June or early July. DoCoMo said that users will be able to access LTE data throughputs of 150Mbps during voice calls as well as the firm’s disaster information notifications. The operator’s existing LTE billing plans—for its Xi-branded high speed data service—will apply to VoLTE voice calls, while packet communication charges for VoLTE video calls will be waived until September 2015, DoCoMo said. After that video calls will attract both packet and voice charges. DoCoMo also announced a corporate reorganisation involving the creation of a number of new units, as illustrated in the table below. “The new units will strengthen and accelerate the creation of services that will enable customers to enjoy smarter living through innovative mobile solutions,” DoCoMo said. Develop, maintain and provide technical support for smartphone applications and server systems for new services that enable smarter living. Develop, deploy, operate and maintain server systems for i-modeTM, sp-modeTM, etc. The 2nd annual LTE Voice Summit is taking place on October 7th-8th 2014 at the Royal Garden Hotel, London. Click here NOW to download a brochure.